Driving the El Portal Road from El Portal, California into Yosemite National Park and into the Yosemite Valley provides outstanding views, interesting attractions and outstanding outdoor recreation. One scenic drive that leads you into Yosemite National Park is the El Portal Road, moving through the forests and so much Sierra Nevada beauty. 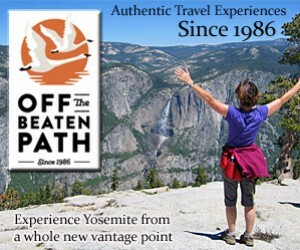 You will also find the most popular overlook in Yosemite Park on this amazing road. Starting in Yosemite Valley, you can pick up the El Portal Road as it merges with Northside and Southside Drives at the western end of the valley. Simply follow it past the Arch Rock entrance, all the way out of the park, and finally into El Portal, California. This drive is about 12 miles and takes about 24 minutes to drive, but you should allow more time as you’ll want to stop to admire the scenery. Starting in Yosemite Valley, you’ll find a number of highlights along El Portal Road that you won’t want to pass up. 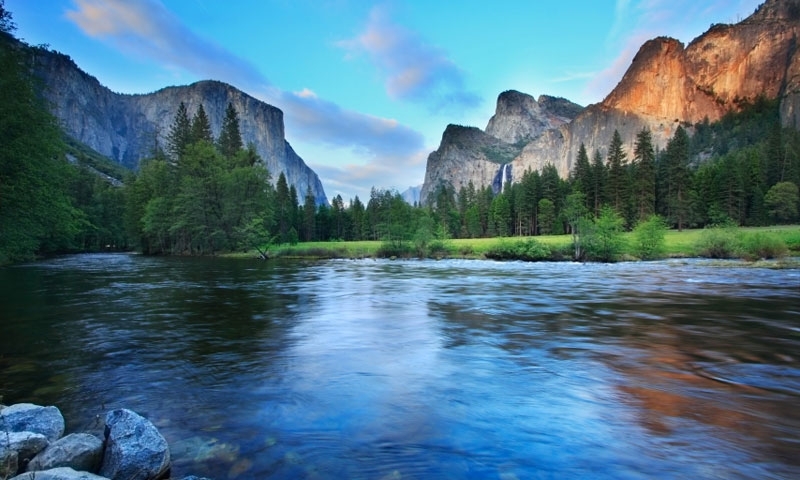 Before you officially leave Yosemite Valley, you simply must get a last view of the magnificent sights, enjoying El Capitan, Bridalveil Fall and Half Dome. This is probably one of the most photographed spots in the park. El Portal Road follows the Merced River through the Merced River Gorge. This is an incredible place to not only enjoy views of rocky outcroppings, but also amazing vistas of wildflowers in the spring. River rafters love this section of water too, for some scenic floating. A small community just outside of Yosemite National Park, El Portal has all the amenities you need for a comfortable vacation. It’s a great place to make a home base for your Sierra Nevada vacation. You’ll find a number of outdoor activities in and around the town, such as whitewater rafting and hiking.